A fantastic penthouse with a swimming pool - now that's something that good movies often include. 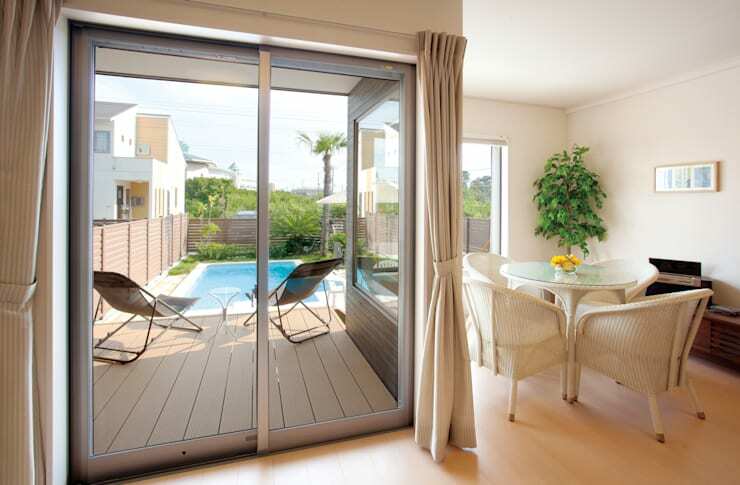 But how often do we get to enjoy a virtual tour of a beautiful home with a simple paradise like appeal? It's not only large and luxurious houses that have a swimming pool incorporated into the design. This home by the excellent Japanese architecture firm Prosper Design is located within a resort and has a cosy atmosphere of a beautiful private house. With all the modern amenities, great design and natural sunlight incorporated into the structure… this home is elegantly fascinating in every way. 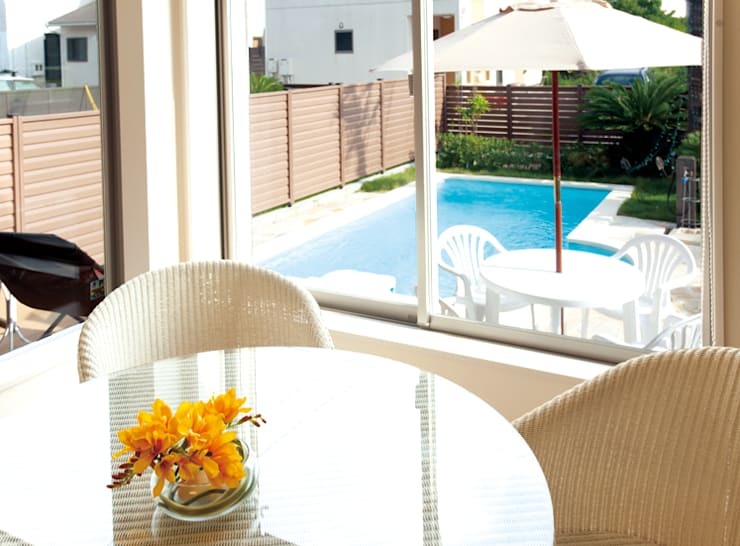 We enjoy our first glimpse of this beautiful home by admiring the gorgeous garden and swimming pool. This double storey home has a modern design, with minimalist detail, and while the villa is located inside a resort, it almost seems like a normal house in the suburbs. This garden area is great for social gathering, whether it be a few close friends or all the family members. Enjoy some cocktails in the comfort and luxury of your own living space. Can you imagine waking up to this beautiful sight every day? This home has a comfortable and pleasant interior to go with the strong and functional exterior. Large windows and sliding doors allow for natural sunlight to enter the home, while the pool remains in sight from all angles too! The interior is perfectly decorated in rich creams tones which makes the indoors a great place to be too. The terrace is an extension of the excellent interior and this is a seamless process too… simply open the sliding doors and let the sunlight and ventilation bathe the inside of the beautiful villa! The furniture is simple and blends in well with the rich cream walls! It's simple beige and white, but it looks really bright and inviting. The swimming pool of this magnificent home is never out of sight. The outdoor space include a dining area for those informal meals, while the swimming pool is surrounded by lush green exotic plants, adding to the stylish space of the exterior. The brown fence surrounding the property maintains the privacy of the residents, allowing the home to be hidden from the prying eyes of nosy neighbours… necessary in housing complexes such as these. You can definitely enjoy a view of the turquoise swimming pool from the interior of this home too, maybe while you're having your coffee in the morning? The pine porch area has an exposed wood interior, making it a rustic and stylish design option. 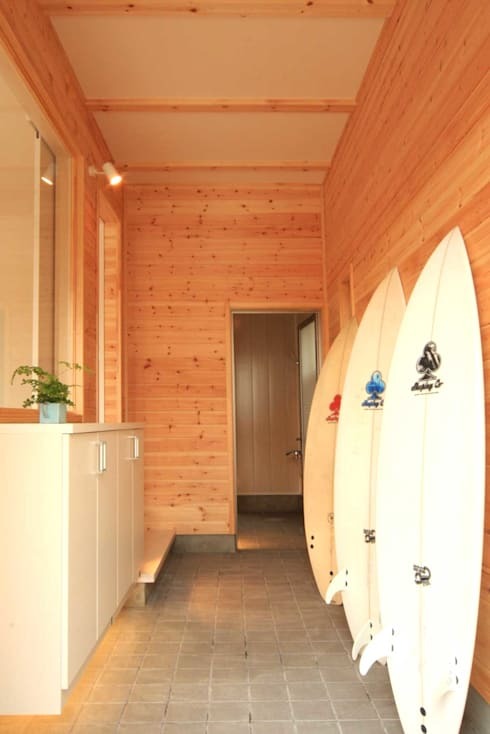 The decor is perfectly finished by the inclusion of surf boards, adding a different and almost random style to the space. It's an impressive take on decor style. The space has enough storage for other random items that you may require as well and is also the entrance to the swimming pool area from the interior of the home, with its own shower too! Never get messy pool water in the house again with a brilliant layout such as this. 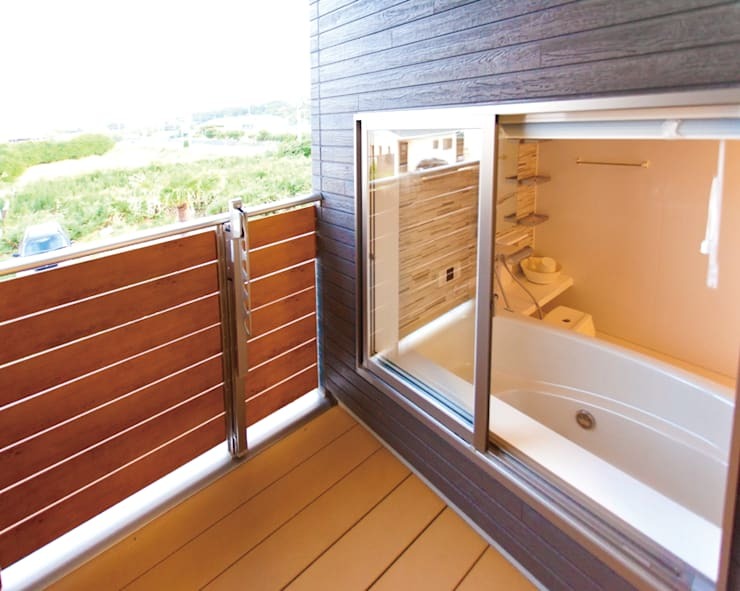 Enjoy a view of the great outdoors with this beautiful balcony, while you soak up the heavenly aromas and bath soap in your bath tub. Who wouldn't want to enjoy a view of the outside world? It's a comfortable bathing experience that will leave you rejuvenated and at ease. Thanks to the higher fence, the bathing experience can be a private one too. So go on and immerse yourself in that amazing hot water, and open the windows for a gentle breeze too. You definitely get to enjoy views of the surrounding nature that not many people are privy to. This final view of the gorgeous resort home shows off the swimming pool in all its splendour. 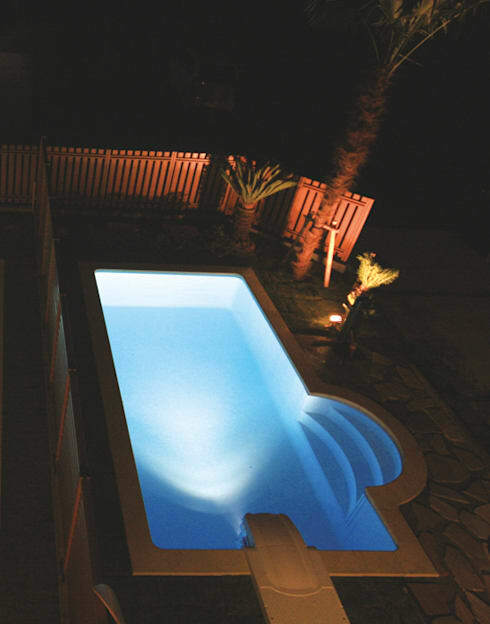 Even at night, the pool looks so calm and inviting and with the perfectly placed lights inside the pool, it can be a great experience too. This aerial view shows us the brilliant exotic appeal that this backyard area features. The pool is surrounded by majestic plants and a fence for privacy. Can you imagine hosting a social occasion here on a warm summer night? How about a barbecue or even an old fashioned pool party? 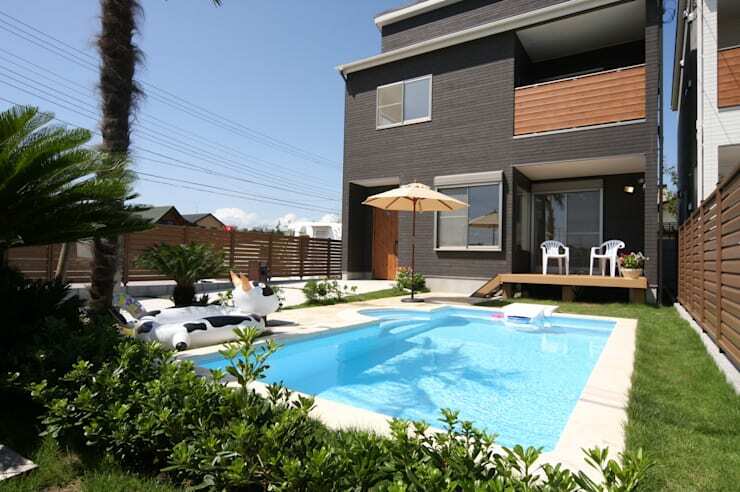 If you liked this villa, then The Surprising Home of Practicality is awaiting your comment too. Would you live in a resort complex such as this?